With the release of Styles P and Dave East's project Beloved; Rhymefest, Black Thought and Phonte; and Curren$y and Freddie Gibbs all working together on joint projects; there has been an uptick in rap collaboration albums in recent years. In fact, collaboration albums are becoming the norm in hip hop. They also have the possibility of constructing historic hip hop moments when artists come together to create a body of work. A key ingredient in any collaborative venture is organic chemistry. When a project is forced out expediency to merely sell records and not be an authentic artistic expression, the results can be disastrous (Think Best of Both Worlds or The Album by The Firm). The primary mission for a joint undertaking should be a mutual respect between the artists and for each artist to aspire to elevate one another's artistry to the next level. Without those dynamics at play, the artists may give us few good tracks, but the project won't have the necessary elasticity to achieve a long-lasting impact in music history. Here's a look at the Top 10 hip hop collaboration albums. Hip hop and reggae are deeply intertwined as genres within the gamut of black music. But, never has there been a collaborative effort between a prominent MC and a well-known reggae artist for a full-length album. On Distant Relatives, Nas and Damien Marley connect to create a genre fluid project. Distant Relatives is an exploration of their diasporic roots, not only as musicians, but, as descendants of Africa. A convergence of their disparate styles, tracks such as "Patience," "Friends," and "Count Your Blessings" display the harmonious union between Nas and Damien, and their ability to speak on diverse subject matters. The production was handled primarily by Damian and Stephen Marley, a fusion of reggae and hip hop. The LP features samples of African artists such as Amadou & Mariam and Mulatu Astatke. The album's themes revolve around the realities of poverty, ancestry, and the plight of Africa. 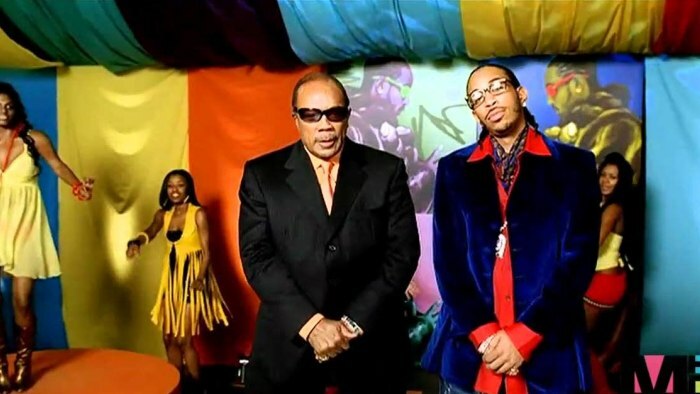 Distant Relatives is an accomplishment in collaboration, conveying the connectivity between hip hop and reggae, while remaining true to the power of each genre. 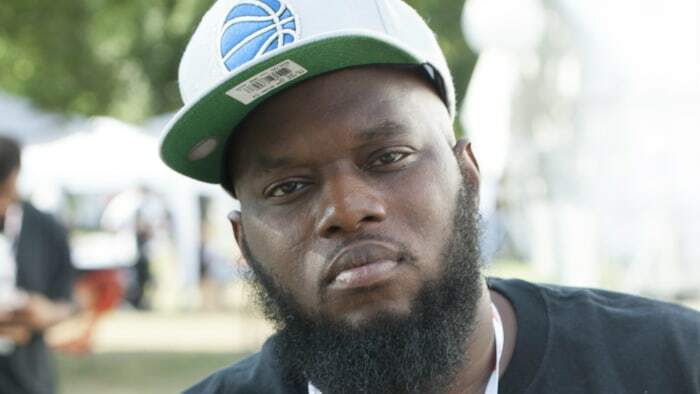 Philly's own State Property; consisting of Beanie Sigel, Peedi Crakk, Oschino and Sparks, Freeway and The Young Gunz, Chris and Neef were backed by Roc-A-Fella Records and blazed hot in the early 2000s. Following their debut State Property, the soundtrack to the film of the same title the previous year, Chain Gang Vol 2 is the collective's last and best effort. Chain Gang Vol 2 is cohesive effort of Philly street rap at its finest. The General, Beanie Sigel, leads the troops into battle taking out everybody in their path. The hunger and sense of urgency of the group is felt throughout every track. The production on Chain Gang Vol 2 is strong with the likes of Darrell "Digga" Branch, Just Blaze, Chad West, The Alchemist, Derick "D. Dot" Angelettie and others providing the backdrop for hard-hitting rhymes of the State Property crew. With bangers such as "It's On," featuring JAY-Z, "BB Gun," and "State Prop," Chain Gang Vol. 2 captures the raw energy and chemistry of the Philly crew representing the "Roc" as only they could. Notable Song: "Can't Stop, Won't Stop"
When Freddie Gibbs and Madlib came together to create a collaborative project, they seemed like an unlikely tandem. But their appreciation of each other's artistry comes shining through on their full-length album Piñata. Madlib's stellar DIY production style features elements of soul jazz breaks and funk-fusion samples that have a retro feel with the modern midwestern, gritty street tales of Gibbs's lyrics. Gibbs' hard knock raps rode extremely well over Madlib's soulful, experimental tracks. Piñata features contributions from Raekwon, Danny Brown, Scarface, BJ the Chicago Kid, Ab-Soul, Mac Miller, and others that keep up the LP's flowing consistently for all 17 tracks. Songs like "Deeper," "Thuggin," and "Robes," are indicative of Piñata as an organic musical offering of two artists who committed to producing a creative project. During the early 2000s, Dipset developed a cult following. Their sound and style was highly influential for the New York rap scene. After flooding the streets with their The Diplomats, Vol. 1 mixtape, their buzz kept growing. They eventually dropped Diplomatic Immunity, a collaboration album featuring Cam'Ron, Jim Jones, Juelz Santana, Freeky Zekey, and Hell Rell. Touting the production of Just Blaze, Heatmakerz, DR Period and others, the double disk left an impact. Diplomatic Immunity was a forerunner in meshing musical influences of southern and midwestern hip hop with New York rap. Full of head-banging tracks like "Built this City," "I Really Mean It," and "Purple Haze," the project captures Dipset at the height of the group's popularity. The Dipset phenomenon was alive and well, and Diplomatic Immunity was a showcase of one of the greatest crews in hip hop. 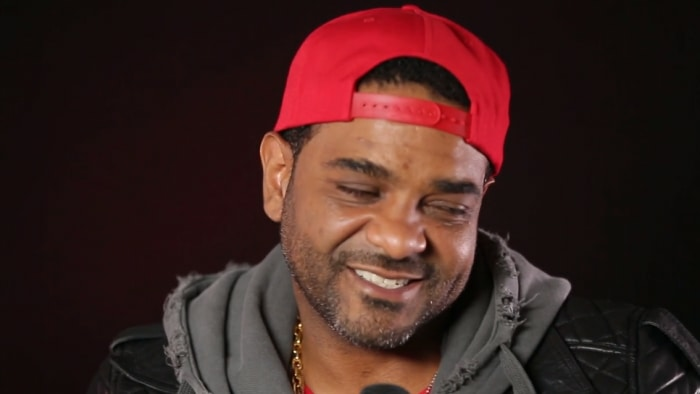 Jim Jones on maturing: "Aggression has put me in a lot of situations that wasn't always good"
The supergroup Def Squad, consisting of Erik Sermon and his protégé's Redman and Keith Murray, pioneered the concept of rap collaboration albums. As members of the same rap crew, it was only right that the Def Squad would create a project. With two of the game's most revered emcees and the mastermind production of Sermon, El Niño was one of the most anticipated LPs in hip hop in 1998. El Niño set the stage as one of the first albums from a rap crew released while the group's MCs were at their peak. Sermon produced most of the project with contributions from Reggie Noble. The minimalist funk ascetic that is Sermon's trademark was the perfect score for the trio to rhyme over. Standouts like "Countdown," "Check N' Me Out" and "Can You Dig It?" showcase the Def Squad at their collective best. With Redman's hilarious punchlines, Murray's wordplay, and Sermon's funk tracks, El Niño is an early example of how collaborative albums are supposed to be. Fabolous and Jadakiss have been fixtures in the New York rap game for years with a cannon of albums, and classic mixtape verses under their belt. Undoubtedly, they were two of the most popular MCs during the late 90s and through the 2000s. After years of rumors and delays, the veterans finally created a joint album. On Freddy on Elm Street, the duo adapt the personas of the 80's horror films Nightmare of Elm Street's Freddy Kruger (Fab) and Friday the 13th's Jason Voorhees (Jada). The entire LP strikes the balance between the retro New York sound and elements of modern rap music for an album of adult contemporary hip hop. Fab and Jada sound as if they have been rhyming together for years. The duo really briought it on tracks like" F VS. J Intro," "Ground Up," and "Nightmares Ain't As Bad," and they display the New York style of MCing that have gained them a loyal following for the last 20 years. Freddy on Elm Street is classic New York hip hop from two of the best to ever do it. In 1998, Rawkus Records was a burgeoning, independent label for producers and lyricists who exemplified the essence of underground hip hop. Two of the label's brightest stars were Brooklyn MCs Mos Def and Talib Kweli. With production help of DJ Hi-Tek, 88-Keys and others, Mos Def and Talib Kweli are Black Star became one of the seminal releases of one of the best years in hip hop. 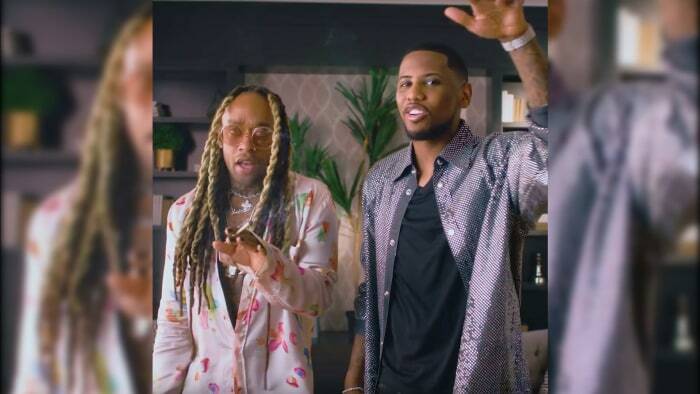 Fabolous & Ty Dolla $ign team up for "Ooh Yea"
The project is a landmark album that features two renowned lyricists, going against the grain of popular rap music of the day, and creating a project that still is highly regarded. 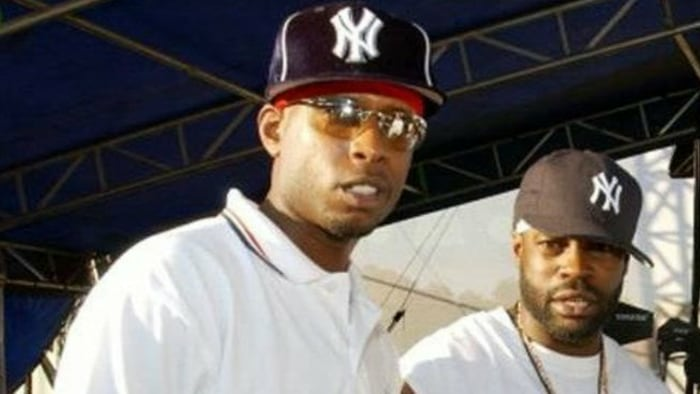 Tracks like "Respiration" featuring Common, "Brown Skin Lady," and "Thieves in the Night," Black Star cemented the reputation of both Def and Kweli as new voices of New York's emerging underground hip hop sound. Although they only produced one album as a duo, the LP remains one of the top albums of the 90s. What do you get when you pair one of the illest lyricist with one of dopest producers of all time? You get PRhyme, the collaborative effort by DJ Premier and Royce da 5'9. This project has Premo and Royce in top form, as they effortlessly bring the best out of each other on every track. Their first project as a duo is an exceptional blending of east coast, boom bap production with highly skillful lyricism. While the formula is simple, it's a true hip hop head's dream. On the production side, Premier would only use the music of composer Adrian Younge as the sample source. Royce holds down the lyrics along with appearances from Slaughterhouse, Jay Electronica, Common, Schoolboy Q, the late Mac Miller and others who all bring their A game. Standout songs include "Wishin'," "You Should Know," and "Courtesy." PRyhme is a nine-song magnum opus that serves as a testimony that the ingredients of "dope rhymes and dope beats" as a motif still has the potential to yield incredible results. After their first collaboration on The Show soundtrack that produced the classic "How High" and their subsequent appearances on each other's projects, the hip-hop community began to imagine what a joint album by both Method Man and Redman could sound like. When Meth and Red delivered The Blackout album, they did not disappoint. Productions duties on the Blackout were handled mostly by Erick Sermon with help from Da Rockwilder, Red, DJ Scratch, RZA, and Mathematics. The chemistry between Meth and Red is organic. They both have dark senses of humor, witty lyricism, and a deep and abiding love for the cannabis plant. Full of smoking funk bangers like "Tear It Off," "Y.O.U." and "Mi Casa," Blackout created the template for collaboration albums to follow. 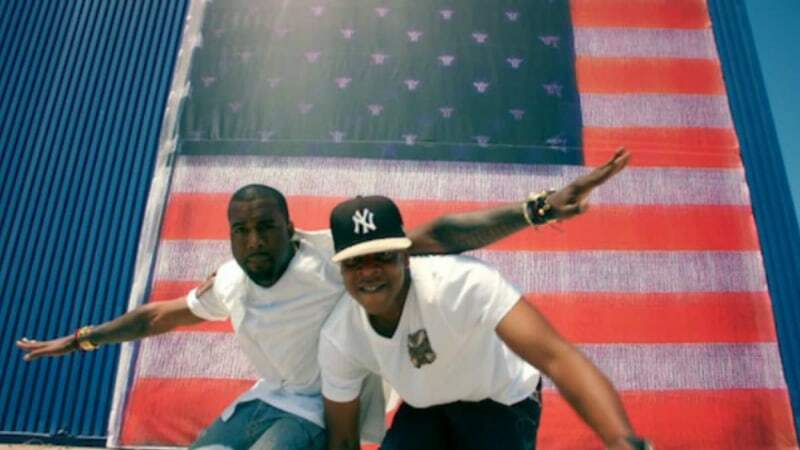 After making appearances on each other's singles and albums, JAY-Z and a pre MAGA hat-wearing Kanye West, gifted the world the quintessential collaborative LP, Watch the Throne. Watch the Throne was a major event for hip hop and the entire music world. Originally intended as a five-track EP, it eventually expanded to a full-length album recorded at multiple locations around the world. What makes Watch the Throne such a special collaboration is that it captures JAY-Z and West, two of the biggest names in music, in their creative zones. Their chemistry was undeniable. While West produced most of the project, Watch the Throne also features production from Mike Dean, Swizz Beatz, RZA, 88-Keys, The Neptunes, and Q-Tip, providing a sonically grandiose soundtrack. With tracks like "Otis," "No Church in the Wild," and "Niggas In Paris," it propelled Watch the Throne to be a runaway critical and a commercial success. It's still regarded as one of the best works of both JAY-Z and West's discographies. Watch the Throne remains the gold standard for rap collaboration albums. Notable Song: "Niggas in Paris"
REVOLT IMO | What will be the hip-hop album of the year?